The International Jazz Festival of La Spezia is the longest-running Italian music festival dedicated to jazz music. It has been taking place in and around La Spezia since 1969. The idea of ​​organizing a Jazz Festival in the city took shape in the summer of 1969 on the initiative of Tiberio Nicola and other jazz lovers who, one year before, had founded the Association “Amici del Jazz della Spezia”. For the first three editions the Festival takes place in Lerici, in the Villa Marigola park, hosting from the very beginning widely renowned musicians, including Bill Evans trio, Maynard Ferguson, Kenny Clarke and Shelly Manne, Lucky Thompson, Teddy Wilson and Jaki Byard, and the italian musicians Gil Cuppini, Giorgio Buratti and Giorgio Azzolini. From the IV edition in 1972 the festival moved to the Teatro Civico della Spezia confirming the artistic level of the previous editions. The succeeding editions feature great personalities such as Johnny Griffin, Art Farmer, Phil Woods, Ted Curson, Clark Terry, Earl Hines, Keith Jarrett, Charles Mingus and Chet Baker. With the 1976 edition we return to the open-air-concert formula and, in the late seventies and early eighties, the event begins to involve the neighboring municipalities, mainly those on the seaside. In these years, other great stars animate the nights of the Festival. These include Giorgio Gaslini, Enrico Rava, Dexter Gordon, Stan Getz, Pharoah Sanders, George Coleman, Woody Shaw and Charles Tolliver and the big band directed by Thad Jones and Mel Lewis. The Festival then moved for two years to the Roman amphitheater of Luni, where Gerry Mulligan, Woody Herman, and Freddie Hubbard performed, to return then into the town of La Spezia and display such popular artists as Weather Report, B.B. King, McCoy Tyner, Jackie McLean and Phil Woods. The Teatro Civico will host then musicians as Cedar Walton, George Adams and Don Pullen, Pharoah Sanders, historical names such as Lou Donaldson, Hank Jones and Teddy Edwards, up-and-coming artists like Michel Petrucciani, and young Italians like Andrea Pozza, Carlo Atti, Piero Odorici, Marco Tamburini and Flavio Boltro. The nineties see, among others, great participations such as Archie Shepp’s, Elvin Jones and, among the young Roy Hargrove. At the beginning of the 2000s the International Jazz Festival found its location in Piazza Mentana, in front of the Civic Theater, where along the years Herbie Hancock, Betty Carter, Billy Cobham, Charlie Haden, Martial Solal, Brad Mehldau, Jimmy Smith, Enrico Rava, Paolo Fresu, Stefano Bollani, Dado Moroni, Rosario Giuliani, Fabrizio Bosso and many others perform. Other city squares are involved too, including Piazza Del Bastione, with the extraordinary performances, among others, by Herbie Hancock and Chick Corea. And, from the 2010, the Festival comes back to the beautiful villages in the Gulf of Poets, with events in Lerici and Porto Venere. Starting from the 43rd edition, in 2011, the International Jazz Festival of La Spezia chooses the formula of the seminars / concerts with the establishment of the Tiberio Nicola Award dedicated to the memory of its founder, which rewards the best emerging band. In 2018 the direction of the 50th anniversary edition was entrusted to the internationally renowned pianist, composer and conductor Antonio Ciacca. 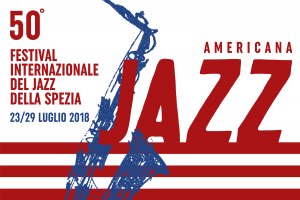 “Americana” is the title that Antonio Ciacca wanted for this special edition: a tribute to the New World’s jazz music presented at the Festival by the most celebrated artists in the world jazz scene. Actually in this edition the town of La Spezia is directly linked with New York, bringing its Festival in the Big Apple. A musical bridge is established between the two cities with parallel events from July to October, a real cultural exchange of artists who will perform in Italy and in America. It is in fact foreseen the participation in New York, from 10 to 16 October 2018, during the Italian Jazz Days, of some young Italian musicians selected during the Tiberio Nicola Award. The 50th edition of the International Jazz Festival of La Spezia is dedicated to the memory of the Martin Luther King, in the 50th anniversary of the assassination, who held an historic speech, entitled “On the Importance of Jazz“, at the Philharmonic Hall in Berlin on the occasion of the opening of the Jazz Festival in 1964.